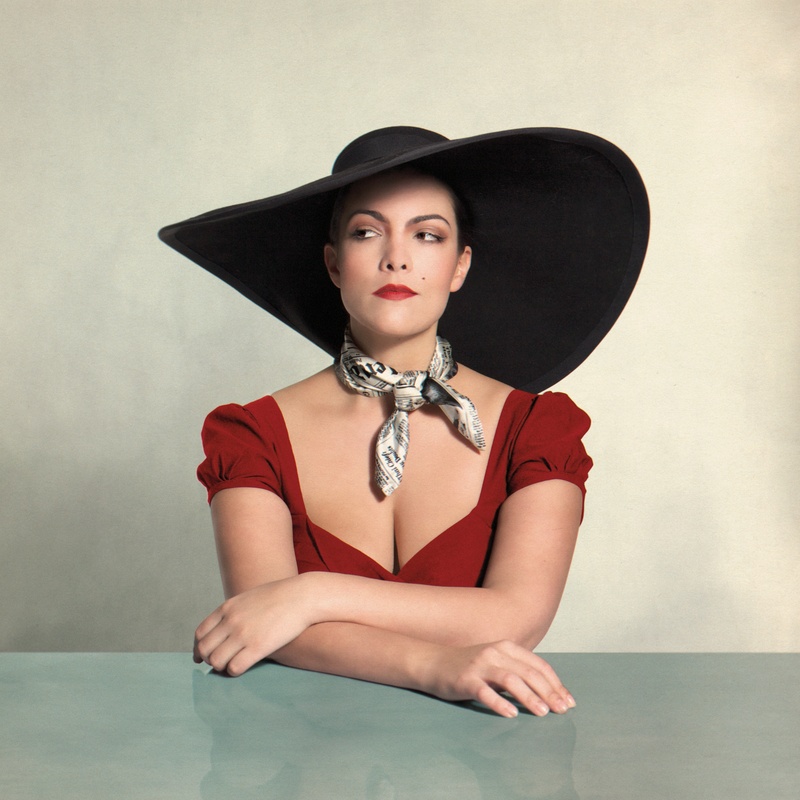 Dutch singer Caro Emerald served up a sparkling show at Birmingham's National Indoor Arena. 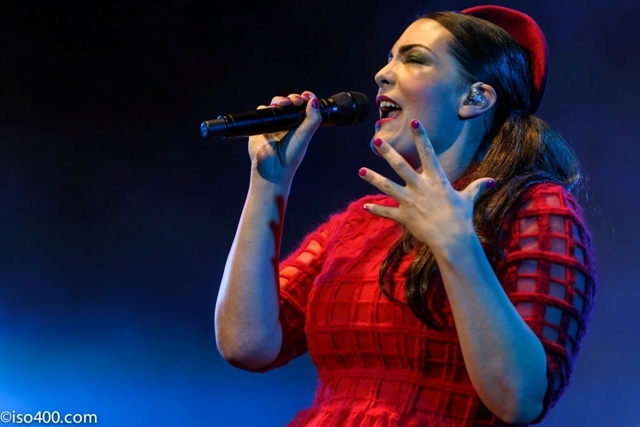 The 33-year-old, who scored a number one hit album in the UK with The Shocking Miss Emerald, announced that the audience of 6,000 made the Birmingham date the biggest on her tour. 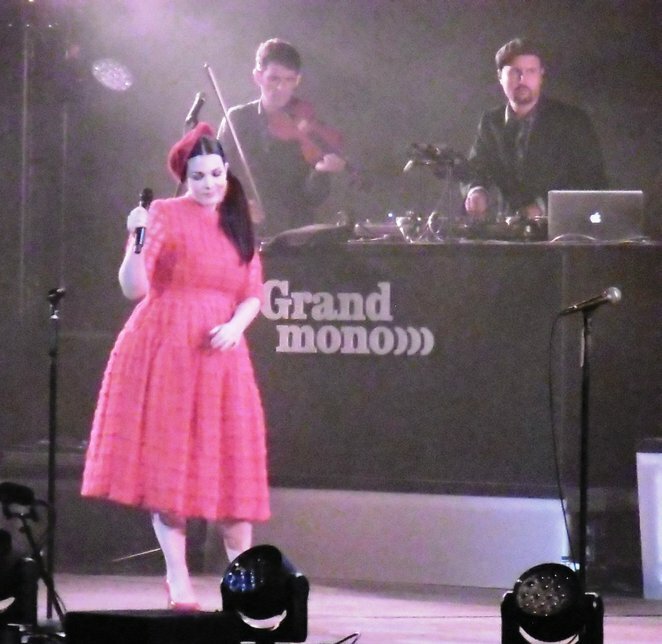 She certainly rose to the occasion, delighting her fans with 19 songs from her two albums, plus a brace of classy covers – History Repeating and Dream A Little Dream. The show began with Miss Emerald silhouetted behind a screen singing I Belong To You. When the screen dropped we saw Caro the scarlet women – she was dressed all in red and looked amazing. She swiftly segued into Tangled Up and the bright and breezy Riviera Touch. ''One for the ladies,'' she said as the introduction to the sassy Coming Back As A Man before moving on to a rollicking Pack Up The Louie. 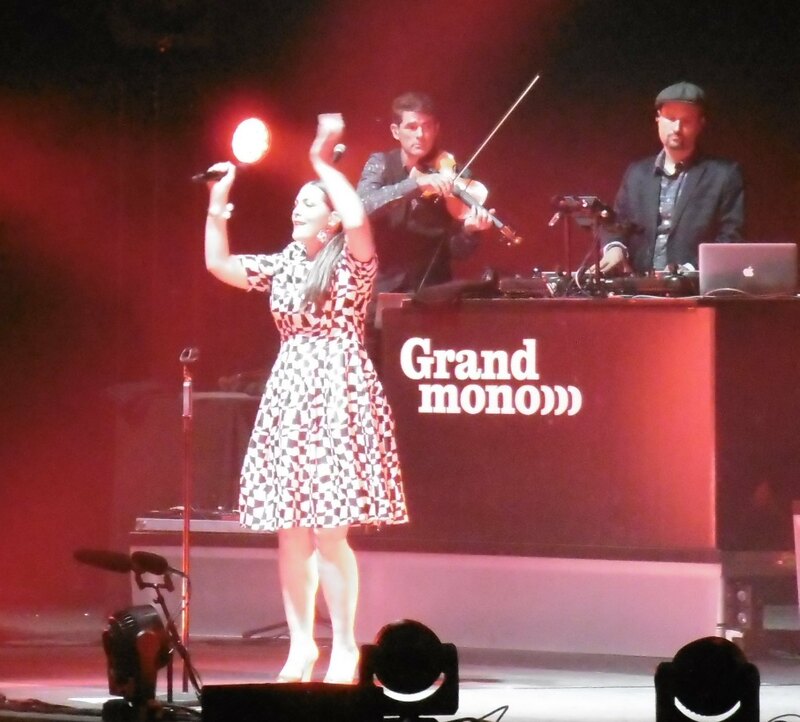 One of the strengths of the show was Caro's superb eight-piece band who played a wide variety of instruments. One of them picked up a trumpet for a Spaghetti Western-style introduction to The Lipstick On His Collar which turned into a real show-stopper featuring a scratch DJ and an exciting instrumental finale as Caro left the stage for the first of two costume changes. It was dance time when she returned. She got the crowd on their feet for Dr. Wanna Do and Completely before slowing things down with Black Valentine and Paris, the city that inspired her second album. Excuse My French gave band members another opportunity to shine as three of them went centre stage with guitar, clarinet, sax and trumpet. An hour into the show Caro turned up the heat again with everyone dancing along to Liquid Lunch and One Day before another costume change and the ballad The Wonderful In You featuring a lovely violin solo. The show became more interactive and there was a real feelgood atmosphere – a sing and response section in That Man, the lead track from debut album Deleted Scenes From The Cutting Room Floor, proved so popular another was held during the encore in Back It Up. By the time of the penultimate number, A Night Like This, even the woman sitting next to me, who told me earlier that she never stood at concerts, was on her feet and dancing. It really was one of those nights. Oct 24: Glasgow The SSE Hydro.